Personal Injury Attorney and Car Accident Attorney Matthew Sean Tucker serves UCF students and the surrounding Orlando area. His civil litigation practice includes his Orlando Personal Injury and Car Accident litigation practice. Attorney Tucker is a UCF Alumni. While at UCF, he studied electrical engineering and eventually became an electrical engineer. Attorney Tucker is an avid football fan and regularly attends UCF football games. If you see Attorney Tucker at or around campus, do not hesitate to introduce yourself. As a UCF student, your injuries can have devastating effects on your financial security and future success. For example, injuries may cause you to miss (1) classes; (2) athletic competition; and (3) work. And, you may rely on your scholastic scholarships, athletic scholarships, and job to provide the financial support to attend college and live in Orlando. Your injuries could put your financial security in jeopardy. Alternatively, your injuries could effect your future ability to utilize the UCF degree that you are working towards. INJURED? An Orlando Personal Injury and Car Accident Lawyer Can Help UCF Students! • Trucking Accidents – Accidents in which semi trucks and other large commercial vehicles caused serious damage to UCF students. • Wrongful Death – In the tragic event you have lost a family member in an Orlando, Florida accident, Tucker Law can help you recover for your personal injuries. 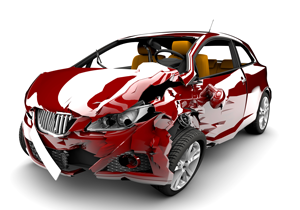 • Auto Accidents – Auto accidents occur with alarming frequency in the area surroudning UCF. The majority of UCF personal injury claims are auto accidents. • Head & Brain Injuries – A traumatic brain injury (TBI) can severely impact a UCF student for a lifetime. In such cases, it is important to obtain compensation to cover for lifetime medical treatment and care, as well as pain & suffering, and lost wages. Why Do I Need A Personal Injury Lawyer or Car Accident Attorney Serving UCF Students To Recover Damages? If you have suffered a personal injury in any type of accident, you may be wondering whether or not to hire a Personal Injury Attorney serving UCF students. In some instances, the insurance company may have already offered to settle quickly. However, before acceptance of any offer to settle, you should consult with a Personal Injury Attorney serving UCF to evaluate the settlement offer. In many cases, you do not have to the experience to fully assess the value of your damages, such as lost future earnings, diminished ability to engage in previously loved hobbies, and the emotional and physical pain suffered from the Orlando personal injury. Additionally, you may not have fully evaluated the future medical bills that you will incur. Tucker Law focuses a portion of its Orlando services on personal injury and car accident litigation. Have you or a loved one been personally injured in an accident in the UCF area? If so, contact Personal Injury Attorney and Car Accident Attorney Matthew Sean Tucker at Tucker Law with its office strategically located in Fort Lauderdale. Firm attorney will be available to meet throughout Orlando. Tucker Law serves clients throughout Orlando and South Florida. Call the Firm toll-free at 1-844-4-TUCKER or send us an email through the Firm’s website. Thereafter, a firm personal injury attorney will contact you for a free consultation.